Apple supplier Foxconn today said that it remains committed to its contract to build a display plant and research facility in Wisconsin (via Reuters). The company’s comment comes a few days after Wisconsin Governor Tony Evers said that the state wanted to renegotiate the Foxconn deal, partly due to the belief that the Taiwanese company was not expected to reach its goal of creating 13,000 jobs in Wisconsin. Foxconn’s original goal for the project was to eventually employ 13,000 workers on the site, and today the company has confirmed that it “remains committed” to this plan. Foxconn initially announced the project in 2017 at a White House event alongside President Donald Trump. Governor Evers recently took office in January 2019, inheriting the deal to Give Foxconn $4 billion in tax breaks and other incentives. Over the years, Foxconn’s Wisconsin plant has gone through many iterations as the supplier faced new roadblocks and cost-cutting measures. The plant was designated as a TV display factory in its early stages, then pivoted to small to medium-size displays for smartphones, infotainment systems, and other “niche products”. In early 2019, Reuters reported that Foxconn would greatly scale back its plans to produce displays of any kind in Wisconsin and instead focus on research and development. The news came from Louis Woo, assistant to Foxconn CEO Terry Gou, who said Foxconn is “not building a factory” in Wisconsin. According to Woo, the steep cost of making advanced screens for TV sets and other devices in the United States led to the decision. Around the same time, the company confirmed it had slowed its pace of hiring, down to about 5,200 people expected by the end of 2020. As of now, Foxconn has fallen short of its employment goals in 2018, hiring just 178 full-time workers rather than the 260 it intended to for the year. The supplier has to meet certain hiring and capital investment goals under its current contract to qualify for tax credits in Wisconsin. With its inability to meet the 260 hiring target last year, it failed to earn a tax credit of up to $9.5 million. Foxconn is set to begin production of the iPhone X in India this July, according to a report by The Economic Times. Production will take place at Foxconn’s Chennai plant in eastern India. The calendar has once again turned over to the first of April, and that means that April Fools’ Day pranks will be running rampant online for the next day or so. With that in mind, as you browse the internet today you should be very wary of everything you read, particularly regarding any stories or announcements by major brands. As a point of comparison, last year companies teased their customers with tennis shoes that had smartphone features (T-Mobile), socks that could control your TV (Roku), and beer that made you fluent in another language (Duolingo). This year you can expect the usual companies to join in on the pranks, potentially including Google, Netflix, T-Mobile, and more. April 1, 2019 is also the 43rd anniversary of Apple, founded by Steve Jobs, Steve Wozniak, and Ronald Wayne on April 1, 1976. Apple products and services are usually targets of April Fools’ Day pranks, but the company itself doesn’t typically go all out for the event, besides a few humorous jokes sometimes added to Siri. Check out the highlights from this year’s April Fools’ Day hoaxes in the list below. T-Mobile is again fighting one of the so-called pain points of the wireless industry with the launch of the Phone BoothE, a completely sound-proof and high-tech phone booth that lets T-Mobile customers escape from noisy areas to make their phone calls. Inside the Phone BoothE you can charge your devices, connect to a smart screen called “Magenta Pages” to mirror your smartphone display, and adjust the lighting to take great selfies. “It’s 2019 and people are walking around with a finger in their ear, trying to have a conversation! The T-Mobile Phone BoothE solves this problem,” said John Legere, CEO of T-Mobile. It’s not unprecedented for T-Mobile to follow through on its April Fools’ Day prank with a real product. Last year, the company rebooted the T-Mobile Sidekick in the form of a shoe that could make calls and communicate with nearby Sidekicks with “toe tap” technology. Of course, the version T-Mobile actually sold to customers for $65 was just a basic lookalike shoe that lacked any connected features. Hyper has revealed a new USB-C hub for users frustrated with the lack of port diversity on modern Apple notebooks, which goes above and beyond any USB hub ever built and includes 40 total ports. This hub features 9 USB-A ports, 9 USB-C ports, 2 microSD ports, 2 SD ports, one audio jack, one HDMI port, and one Ethernet port. That’s not all, because the HyperDrive Ultimate Ultimate Hub also features a 3.5″ floppy disk drive, a built-in airline-safe battery, a 2-in-1 speaker and space heater, one VGA port, and much more. Hyper says that the hub is regularly offered at a price of $9,999.99, but for a limited time it’s on sale for $99.99. Nanoleaf, the company behind the HomeKit-connected Aurora wall panels, has announced its latest lighting product: the Nanoleaf Light Panes. The solar-powered Light Panes use the company’s SunSync technology and LOYW (Look Out Your Window) software architecture to provide a hyper-realistic representation of the sun’s glow based on your location, resulting in a high-tech version of a basic window. The Light Panes are modular and come in squares, hexagons, and triangles, which the company says will fit into any home decor. 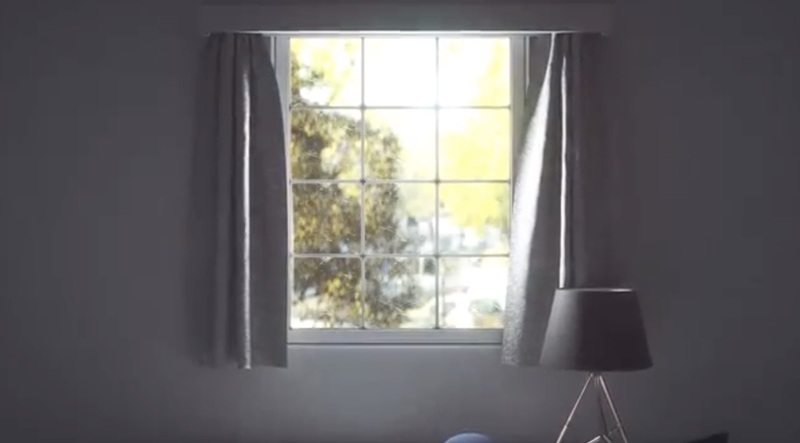 The new product also has a companion accessory called the Nanoleaf Curtain, which lets you customize colors, brightness levels, and provides real-time scheduling. Nanoleaf says the Light Panes are launching in winter 2019 and will be priced at $299.99. Duolingo is addressing a problem for subscribers this month with a new push notification update called Duolingo Push. 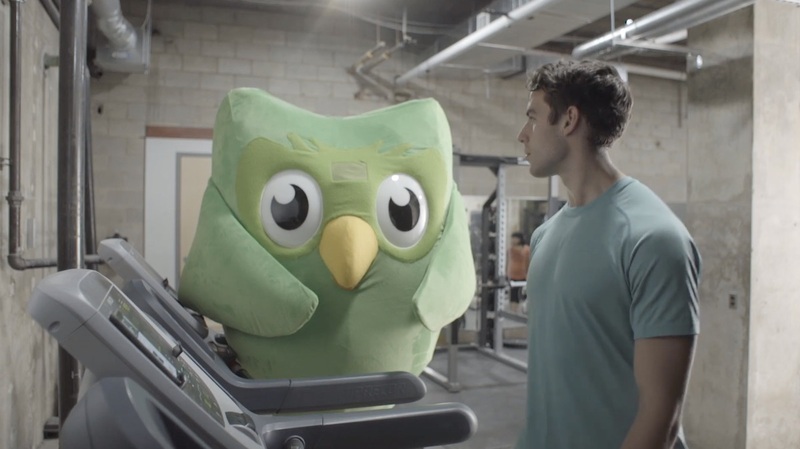 Instead of sending basic iOS push notifications that users can easily ignore, the company has a new premium feature that causes its owl mascot, Duo, to show up wherever you are in an effort to encourage you to complete your language lesson for the day. Duo reminders include “Disappointed Duo” at $100/month, “Passive Aggressive Duo” at $50/month, and “Encouraging Duo” at $25/month. The company says that with any of these tiers, Duo is guaranteed to show up anywhere you’re located, be it at work, at the gym, or at home. 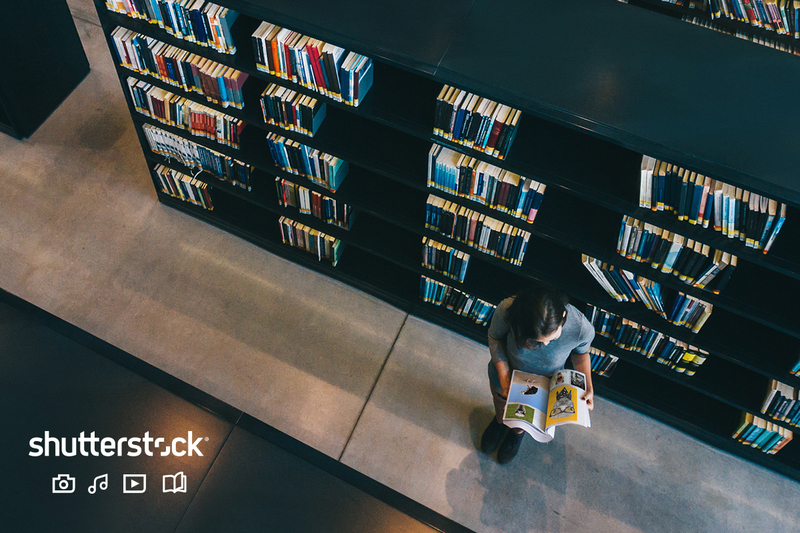 Shutterstock has revealed plans to build its first brick-and-mortar stock image library to house all of the content that you can find on the company’s traditional website. This includes over 250 million volumes of imagery, a full floor that will showcase over 14 million reels of film, and a listening bay where visitors can enjoy over 20,000 songs, all of which will include Shutterstock’s well-known visual and audio watermarks. In a bit of counter-programming, Microsoft this year has completely banned its employees from taking part in any public-facing April Fools’ Day stunts that can be connected to the company. It appears that Microsoft is hoping to lead the way in changing the tide of April Fools’ Day pranks within the tech industry, but as of this year many of the usual suspects have still performed their expected pranks. Filmmakers Ryan Westra and Ben Fischinger have created a cute faux Apple ad called “The Sound Gardener,” which reveals the behind-the-scenes process that Apple goes through to produce AirPods at one of its ultra-secret facilities. In the commercial, it’s revealed that AirPods are grown in a lush garden environment by sound gardener and botanist Ken Yamamoto. The botanist waters and studies the AirPods as they grow, and then plucks them from various fauna when they’re ready. 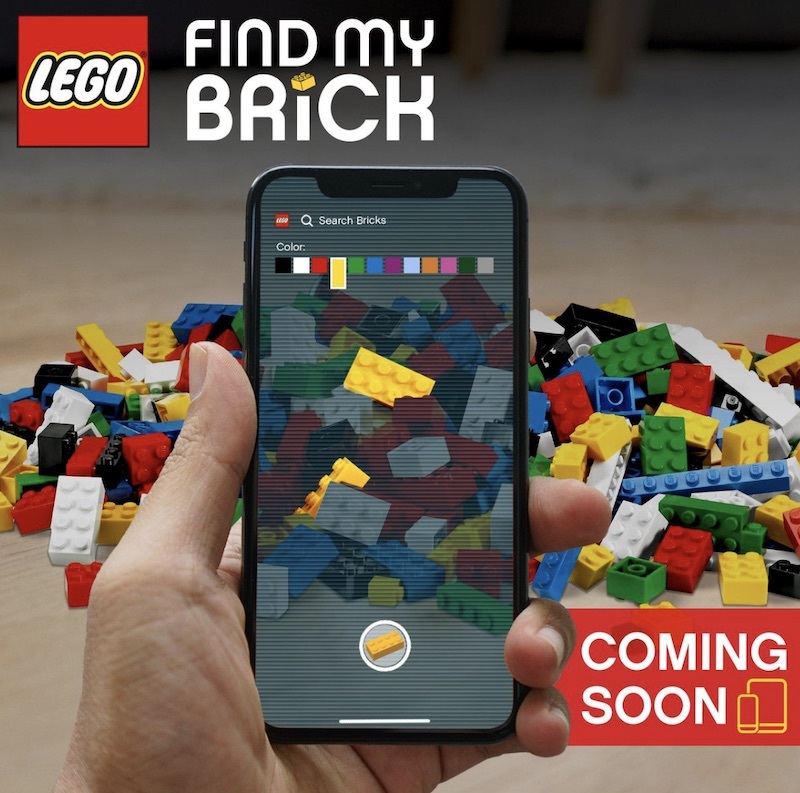 LEGO has taken inspiration from Apple’s Find my iPhone app with its April Fools’ Day joke this year, dubbed “Find my Brick.” With the app, you can select the brick style and color you’re looking for and use your iPhone’s camera to automatically find it, even among a giant pile of bricks. The LEGO Twitter account notes that the app is “coming soon,” but LEGO enthusiasts shouldn’t get their hopes up because this is just the company’s April Fools’ Day prank for 2019. Monoprice’s “Monolith Cassette Series” – An all new boombox, cassette player, and recorder. Discord deletes light theme – Because so many users often ask for dark mode support, Discord has gone the extra mile and deleted its light theme completely. Tech21’s “Pure Clearest” iPhone Case – A case so clear it’s practically invisible (Use code FOOLS15 to get 15 percent off any Pure Clear case through April 8). Penguin Random House’s “Quickie Books” – Ultra-truncated versions of your favorite books. Online Labels’ “Offline Labels” – A complete company rebranding that’s going back to the pre-online shopping era to sell labels. Google Maps’ Game of Snake – Play a geographical version of the classic game Snake. Google Files’ “Screen Cleaner” – Keep your phone clean inside and out with the new update to the Files app. Google Assistant speaks Tulipish – Google’s AI helper can now translate between the language of tulips (“Tulipish”) and a dozen human languages. Spotify’s “Discocover Weekly” Playlist – Your usual Discover Weekly playlist now has a disco-themed makeover. JBL’s upgraded “PartyBox 300” – A Bluetooth speaker with “avocaudio” technology that only millennials can hear. 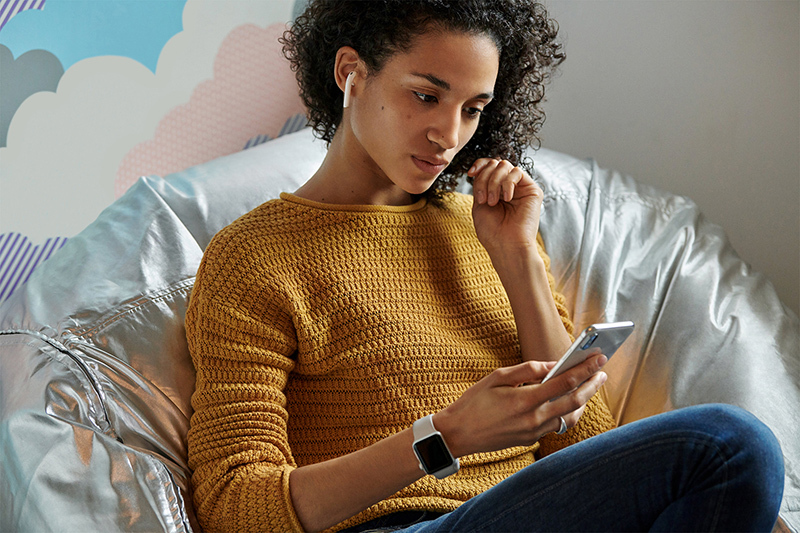 Jabra’s “Ear Buddy” Headphones – The world’s first shared headphones extend over your head and your friend’s head for dual-listening sessions. Final Fantasy’s smart speaker “Omega” – A new AI smart assistant with a sinister side. Roku’s “Press Paws” Remote – A remote that even your pet can control. We’ll update this post in the event that any other noteworthy April Fools’ Day announcements appear online. 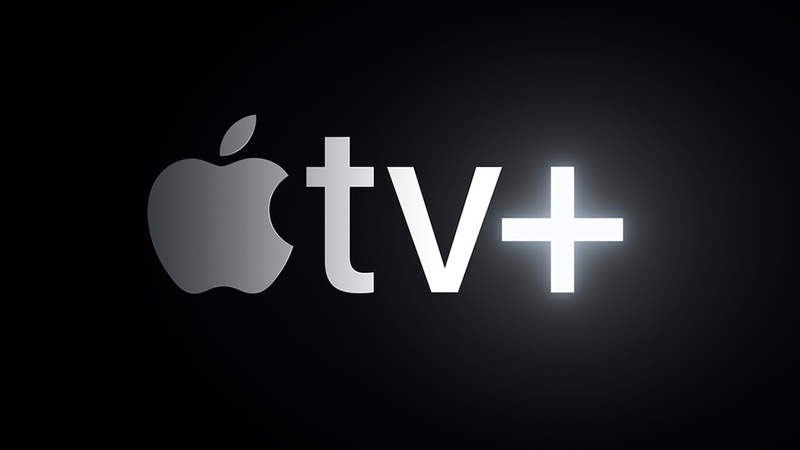 Apple today announced its TV subscription service, Apple TV+, at the Steve Jobs Theater in California. This is the long-rumored service that will host Apple’s original television shows and films, and be located within the revamped Apple TV app. Apple says that Apple TV+ will be the home for “the world’s most creative storytellers,” and it will feature original TV shows, movies, and documentaries. As we’ve learned over the past few months, original content partners include Oprah Winfrey, Steven Spielberg, Jennifer Aniston, Reese Witherspoon, J.J. Abrams, Jason Momoa, and more. 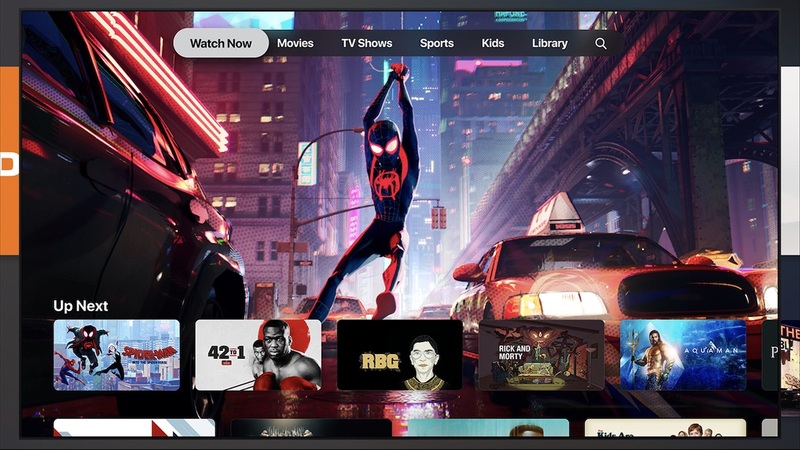 Apple today revealed an all-new and redesigned Apple TV app and a new “Apple TV Channels” feature. The new app is an updated version of the existing TV app, which brings together shows, movies, sports, news, and more in one hub, available on iPhone, iPad, Apple TV, and later this year on Mac and smart TVs. The new TV app has a new “For You” section that recommends TV shows just for you, based on what you watch. The app will offer suggestions for shows and movies from over 150 streaming apps, like Hulu, Amazon Prime, DirecTV Now, PlayStation Vue, and more. Apple TV Channels represent new subscription services that you can sign up for in the TV app, paying only for those that you want. These include CBS All Access, Starz, Showtime, HBO, Nickelodeon, Mubi, The History Channel Vault, Comedy Central Now, and more. 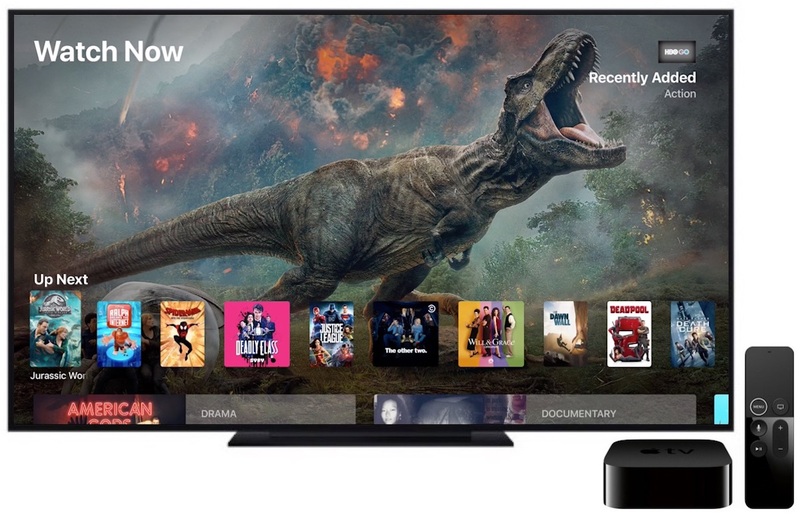 Users will be able to subscribe to Apple TV channels à la carte within the TV app and then watch them there, without having to jump between apps, sign into a new account, or enter another password. The Apple TV app will also be available on the Mac this fall, and on select smart TVs like Samsung, LG, Sony, and Vizio. It’ll also be available on Roku and Amazon devices. The redesigned Apple TV app will launch on iPad, iPhone, and Apple TV in May. 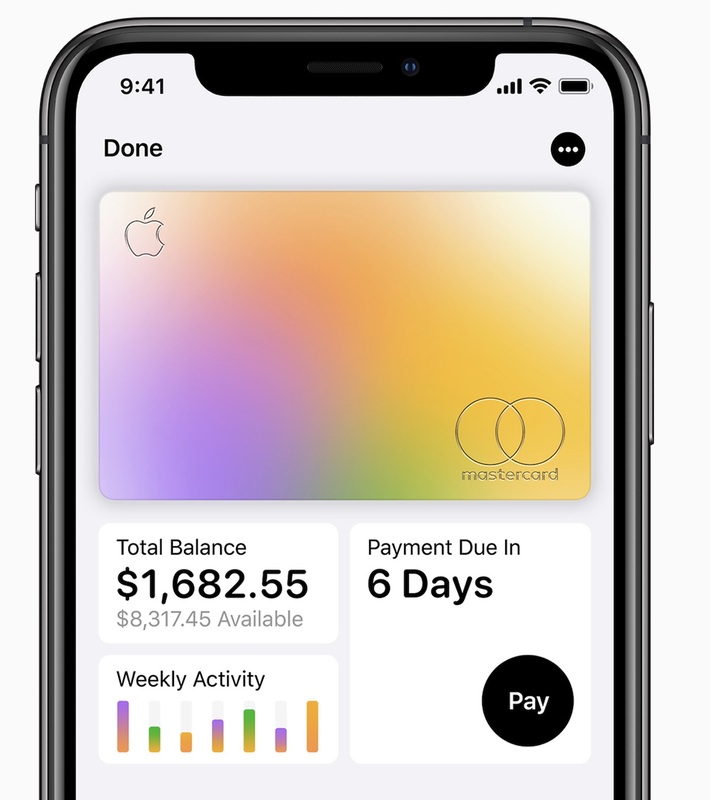 Apple today revealed a brand new service called “Apple Card,” a new digital and physical credit card that users will be able to sign up for right from their iPhone. Apple says this sign-up process takes just a few minutes and then they can start using the Apple Card right away in stores, in apps, or online worldwide. Apple partnered with Goldman Sachs and Mastercard for Apple Card. Anyone who uses Apple Card will receive a percentage of every purchase amount back as “Daily Cash,” the card’s rewards program. Every time users pay with Apple Card they will receive 2 percent Daily Cash back, and if they make a purchase directly with Apple they’ll get 3 percent Daily Cash back. Daily Cash is immediately added to the user’s Apple Cash card in the Wallet app, and can be used anywhere Apple Pay is accepted. As with Apple’s other services, the company promises that Apple Card is completely secure and private. Apple has already invited members of the press to an event on March 25, where it’s believed the company will reveal its TV streaming service and Apple News subscription service. Today, Bloomberg has shared a few new details about the upcoming event, suggesting that Apple may preview new Apple Pay features and that most of Apple’s original TV shows will miss the streaming service’s launch window. Additionally, Apple is said to be “racing” to secure movies and TV shows from partner companies ahead of the event. According to people familiar with the matter, Apple is offering concessions to partners in order to get deals done by a Friday deadline. These include HBO, Showtime, and Starz. “At least a couple deals” are expected to close by Friday, but it’s unclear if Apple will get all the programming from outside media companies that it wants for its streaming service. Today’s report claims that most of the shows and movies on the streaming service at launch will be from outside partners, not Apple’s own shows, so the company is attempting to ensure that there is plenty of content to entice customers to check the service out. The idea of an Apple services bundle is also brought up again in today’s report, with Bloomberg‘s sources stating that Apple could offer the TV service and Apple News service at a discount for anyone who subscribes to both. Lastly, Apple might take time to detail the company’s iPhone-connected credit card, built in partnership with Goldman Sachs. Code named “Project Cookie”, Goldman Sachs is said to have nearly 40 people working on the Apple deal, while Apple’s side is being led by the Apple Pay team. To find out more information on what might be announced during the March 25 event, check out our What To Expect guide.